A Hunter Valley company using space robots to teach Science, Technology, Engineering and Maths (STEM) skills in schools and a Northern Beaches team using technology to streamline travel for Sydney commuters were the main draw on the NSW Government stand at CeBIT Australia on the second day of the business technology expo at Sydney’s International Convention Centre in Darling Harbour. Maitland based Obelisk Systems is an aerospace and education startup developing CubeSat hardware and custom solutions for the Australian space industry. 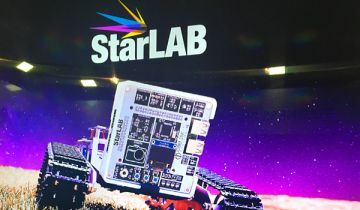 The company recently launched StarLAB, a comprehensive STEM education hardware package that teaches coding, hardware, and robotics to high-school students. The platform is a self-contained, wireless, collaborative hardware sensing device that can be programmed by multiple students simultaneously. This system couples to a 'Mars Rover' expansion allowing students to explore robotics, and Obelisk also organises an end-of-year 'National Mars Rover Challenge', which is now being used by 50 schools and 1,500 students and is being expanded into Queensland and the ACT. 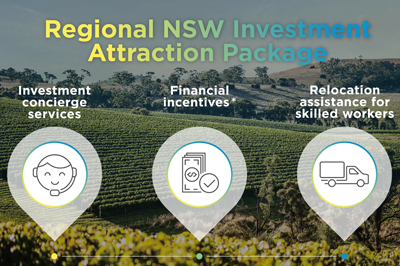 The company developed its technology with the assistance of a $15,000 Minimum Viable Product grant from the NSW Government-backed Jobs for NSW. Obelisk Systems founder Andreas Antoniades says there is no other hardware solution developed specifically to deliver curriculum-aligned learning outcomes for iSTEM and other STEM courses in Australia. It is also web/wireless enabled allowing for real-time global connectivity. Also demonstrating on the NSW stand was Freshwater company Niftie which is providing commuters with premium transport services at a modest cost as an alternative to the public transport system. Niftie, which was also supported to develop its technology with a $15,000 Minimum Viable Product grant from Jobs for NSW, hires chartered transport coaches for commuters who can access its service through an app available on both iOS and Android. Niftie CEO Dean Fribence said the company currently operates four commuter coaches every day from Rouse Hill, Kellyville and Ponds areas to the CBD attracting 110 commuters each day. German Consul General Lothar Freischlader also visited the NSW stand this afternoon where he was briefed on Armidale company ICT International's environmental technology which is measuring the impact of climate change on plant life and agriculture, including giant redwood trees in California, and a 170-year-old Moreton Bay fig tree at Government House. Highlights of the afternoon conference session included a Fintech conference panel discussion on how blockchain is transforming the industry and where it is headed by 2020 and beyond, cyber security strategies, and collaboration. The Enterprise Mobility afternoon conference program focused on data and information security; mobile device and application management; and digital adoption and collaboration tools and strategy in the evolving workplace.